If you've made New Year's resolutions to watch calories and eat healthy things, as most of us have, you'll want to indulge in just one of these lemon squares after your garden-salad-dinner-with-dressing-on-the-side. 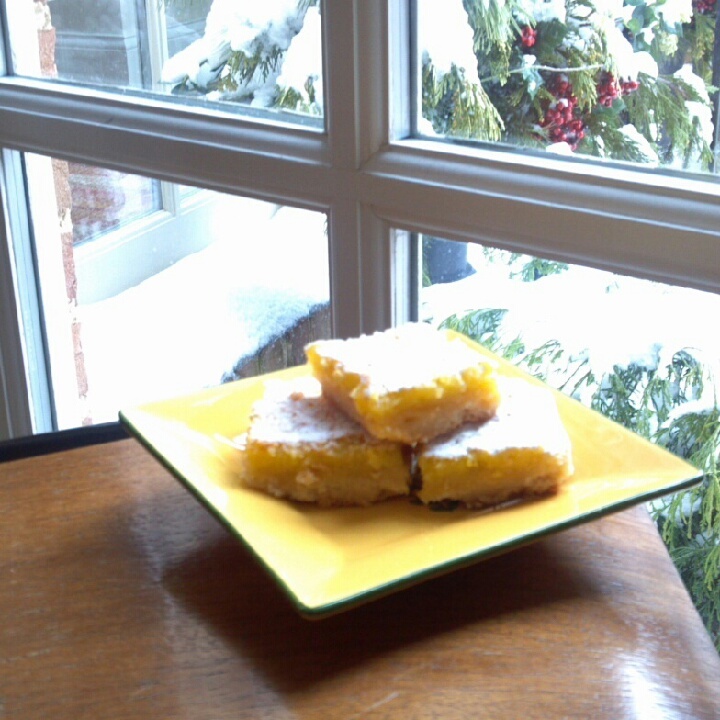 These lemon squares are totally worth an extra ten minutes on the treadmill. The soft and buttery crust is over-the-top delicious, and a kiss of lemon juice makes them all tangy and fresh. Press the mixture into an 8 x 8-inch greased baking pan and bake 20 minutes. Pour these ingredients over the baked warm crust and bake 25 minutes. Remove from oven and let cool in pan on wire racks. Before serving, cut into 2-inch squares and sprinkle with confectioners' sugar.